CRESS aims to provide education to young South Sudanese people in the Dioceses of Liwolo and Kajo Keji to enable them to acquire the diverse skills required by their community. 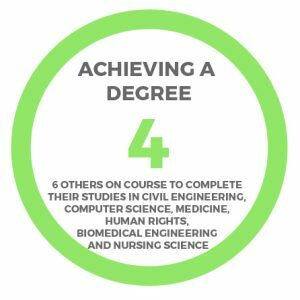 Our Education Sponsorship Programme sponsors selected children throughout their schooling, from primary school all the way through to university, as appropriate. CRESS funds the children’s education and provides them with the required equipment, such as a laptop to complete their studies. Considering sponsoring a refugee child? CRESS started it’s work in South Sudan with the sponsorship of Leaders’ children in 2010 so these Leaders could then focus on their work. Without school fees being paid the Leaders cannot stay in their unpaid roles. This covers the school fees for the child you are sponsoring as well as some money for books and uniform. For those who study away from home it also covers some money for residential expenses. Secondary level education is vital as primary level alone is insufficient for the workplace. Secondary level costs are higher than primary level costs and should be taken into account by sponsors. There is no post in Uganda, so it is only possible to send a letter if someone is going out. This will definitely be once a year and sponsors will always be given notice in advance. You will be sent a letter and school report once a year as well as an invitation to a presentation on the visit by those who have been out to Uganda. 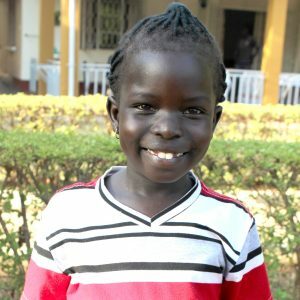 Sponsoring a refugee child in Uganda is an ongoing commitment, so we would like you to contact us directly to talk through the process. Godfrey Murye in 2011 – he has now finished his secondary education with the highest pass in his year. 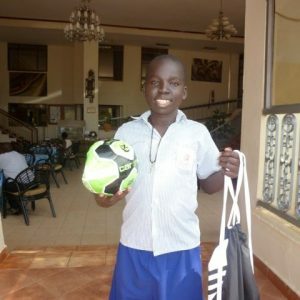 This is Godfrey Murye, CRESS found a sponsor for him in 2011. He dreams of being a Civil Engineer and thanks to his hard work and the commitment of his sponsors he has just finished Secondary School with the highest pass rate in his year. It’s indeed a blessing to have you as part of our family. I thank you so much for the good work you have started in this country through this family. You will always remain a heroine in this institution. You take your time travelling from UK to South Sudan every year since 2009.